Gov. 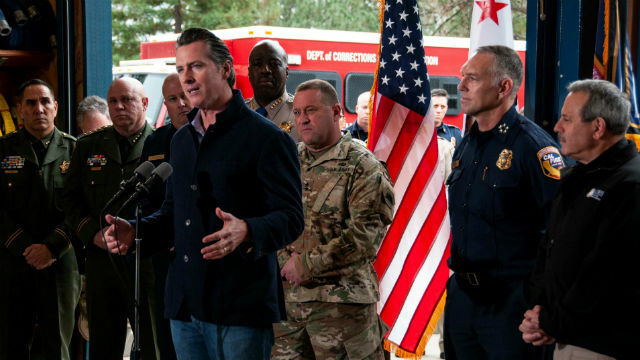 Gavin Newsom proclaimed a state of emergency on Friday and directed California officials to expedite 35 forest management projects to protect 200 communities at risk. The emergency declaration follows the release of a report earlier this month by Cal Fire that identified 35 priority fuel-reduction projects that can be implemented immediately to help reduce the risk of wildfire. Two of the projects are in San Diego country: fuel breaks to stop the spread of fires near the Crest community east of El Cajon and the Guatay community north of Pine Valley. The state of emergency provides time-saving waivers of administrative and regulatory requirements to permit action in the next 12 months to address community vulnerability and fuel buildup.